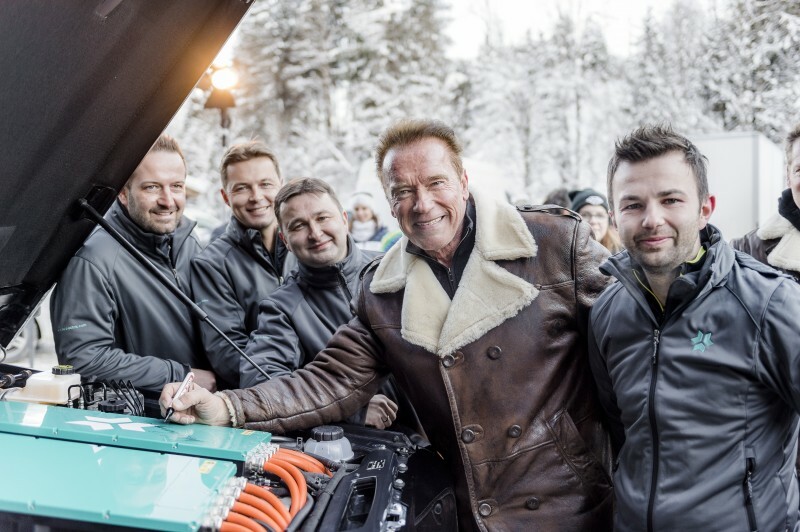 The governator teams up with Austrian brand Kreisel to electrify the beloved wartime truck. Arnold Schwarzenegger, famed Austrian actor and ex-governor of California, has partnered with Kreisel, a company from his motherland, to build the first electrified Mercedes-Benz G-Wagon. Which makes this project a trifecta of Austrian components—remember, the G-Wagen is built in Graz, Austria. Though the Governator has been known to drive petrol-powered G-Wagons in the past, this is the first electric one around, apparently, and its performance figures are impressive. This G-Wagon, which started out life as a G350d, can now get to 60 miles per hour in 5.6 seconds, has roughly 485 horsepower, and has a range of 186 miles—not bad for a car that weighs around two and a half tons, with the batteries alone accounting for 20 percent of the car’s total weight. 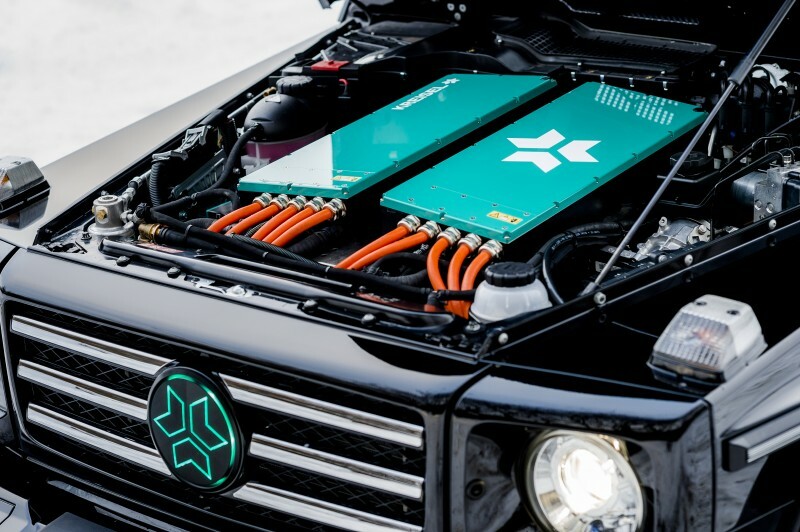 One stat that's particularly interesting, though, is the electric G-Wagen's recharge time—in 25 minutes, the batteries can get charged up to 80 percent. According to Kreisel, the off-road capability and luxury features of its EV G-Wagon haven’t been compromised by the new powertrain, which means, in true Geländewagen form, it should still be able to to traverse nearly anything. This was accomplished by throwing out the main gear unit and fitting the electric motors with reduction gears directly to the car’s transfer case. Despite the actor-turned-politician’s knack in the past for collecting offensively behemoth vehicles—most notably Hummers, but with a few fossil-fuel G-Wagons sprinkled in the mix—he, in recent years, has been an outspoken advocate for environmental protection. He will test and help continue to develop the EV G-Wagon when the car arrives in Los Angeles later this year. Plus, turn your garage into a gym with Rogue Fitness. Furthering our belief that the Geländewagen could be the only car you’d ever need. Turns out Putin doesn’t appreciate his secret agents flossing and hooning.